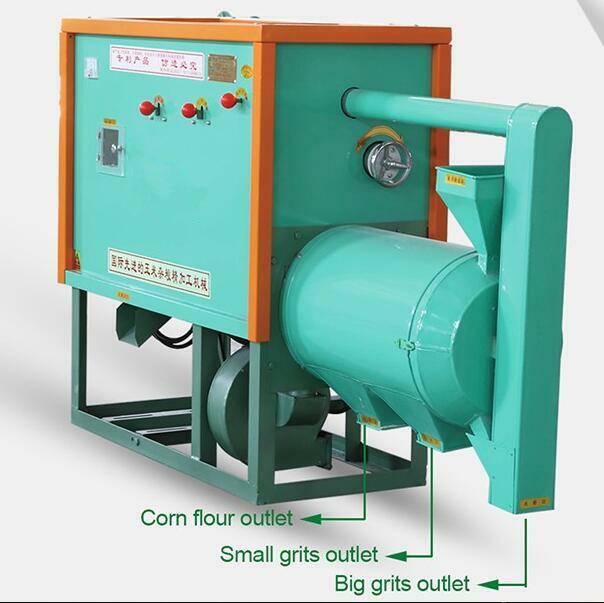 This small scale Corn Processing Equipment is a advanced small machine , consist of Corn / maize Peeling system, Corn grinding system,Flour sifting system in one all . 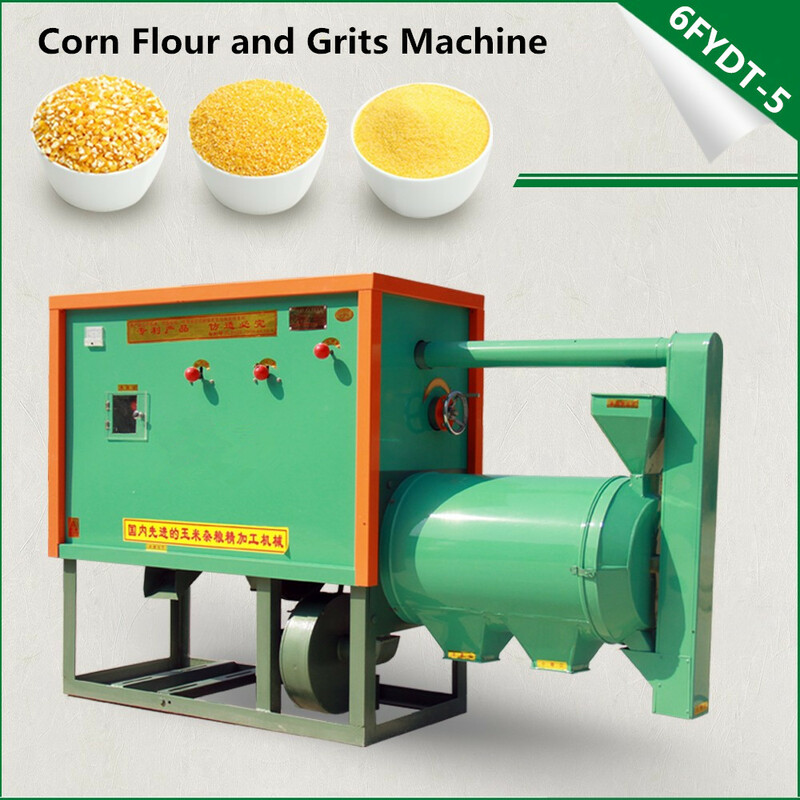 You can get three final product in one time from this small corn processing equipment .And the corn flour, corn grits fineness could be adjusted. 1.Remove light dirty particles such as straw, leaves, soil,etc. 2.Remove maize seed skin, germ, root and hilum, and get clean maize kernel. 1. Adjust a hand wheel to decide what sizes of grits to produce. 1. There are two sieves, one metal grits sieve and nylon flour sieve. 2. Crushed maize grits go through grits sieve and flour sive. Looking for ideal Corn Processing Equipment Manufacturer & supplier ? We have a wide selection at great prices to help you get creative. 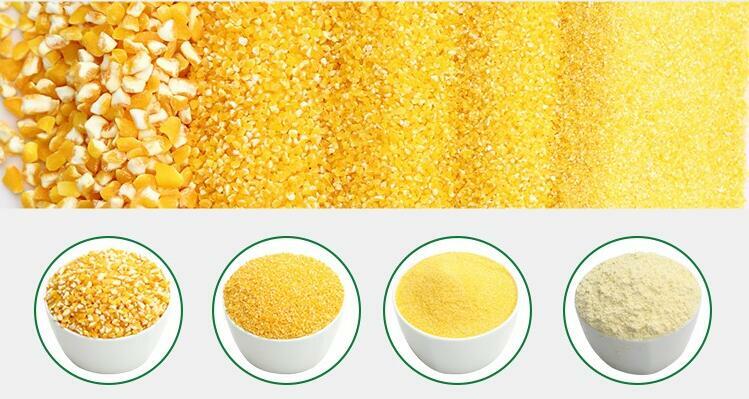 All the Corn Flour Processing Equipment are quality guaranteed. 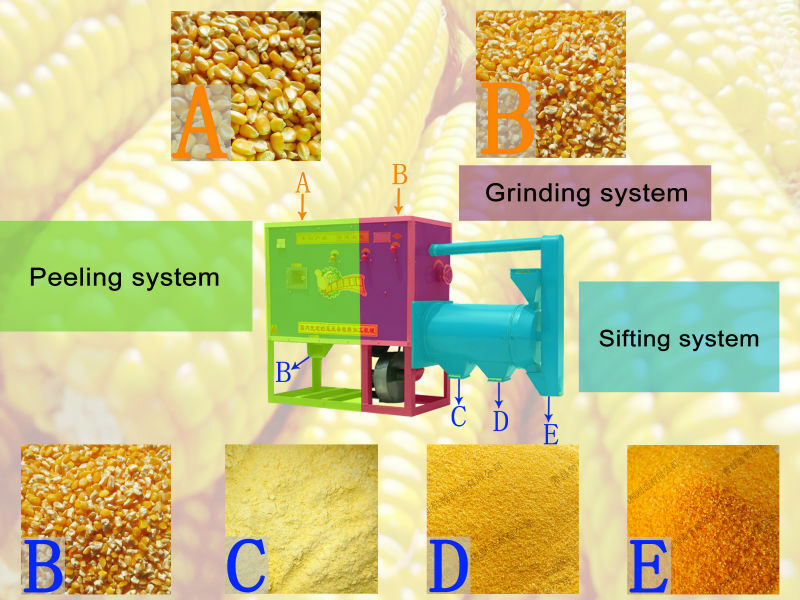 We are China Origin Factory of Maize Processing Equipment. If you have any question, please feel free to contact us.